The innovative, award-winning I.V. 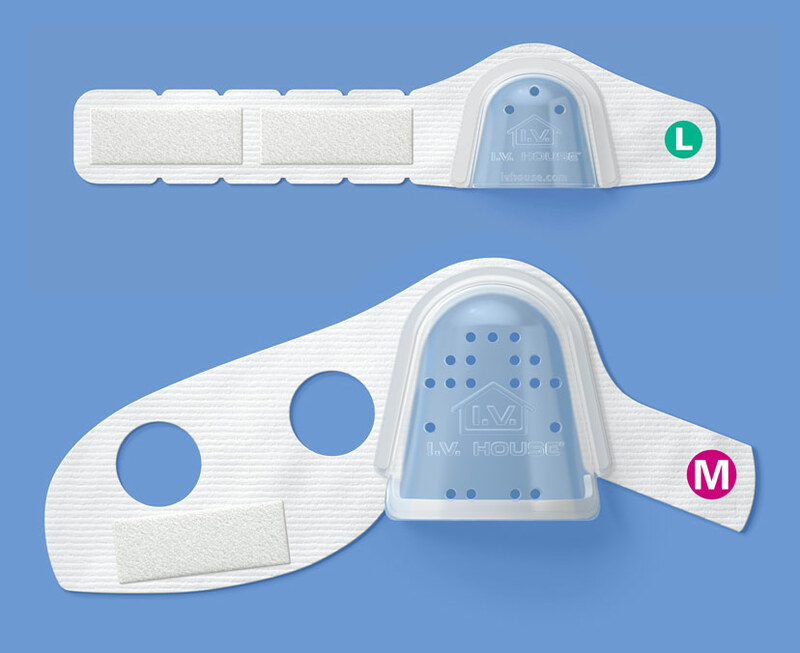 House UltraDressing® provides tape-free protection and stabilization for the IV insertion site. Designed to fit either hand, or the arm, the ventilated, transparent dome secures the IV catheter hub and loop of tubing. The adjustable Velcro® closure is resealable and eliminates the need for over-taping on fragile skin. The fabric under the outer edge of the dome is gentle on the skin and comfortable for patients. The 330 Series I.V. 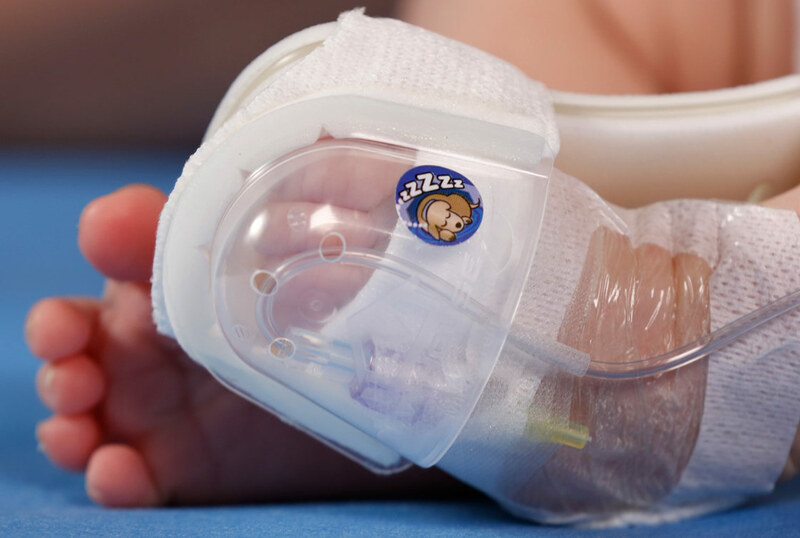 House UltraDressing is designed to protect the tiniest patients including newborns, infants, toddlers, and young children. The 330 Series can be used on the hand, arm, foot or leg. The 730 Series I.V. 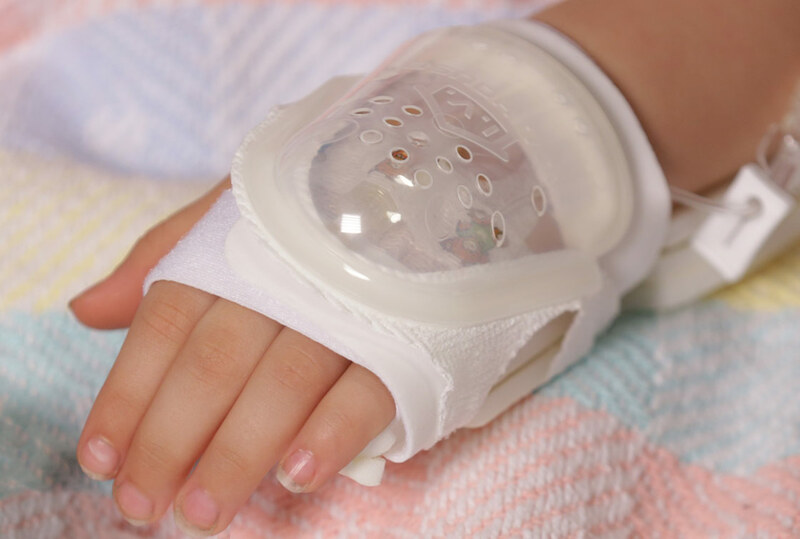 House UltraDressing fits both adults and pediatric patients and is available in three sizes for the hand. The 730Arm protects IV insertion sites on the hand, forearm, antecubital space or upper arm.